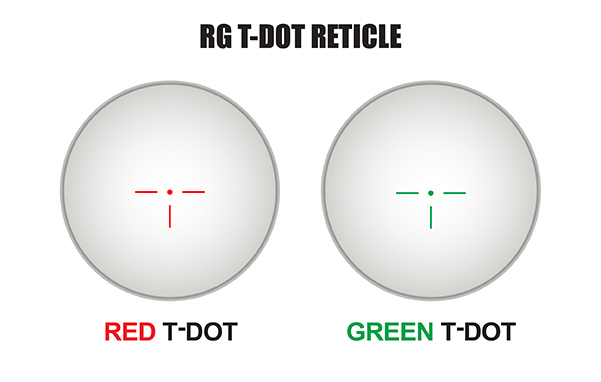 The T-dot reticle is ideally used for fast center mass and T-zone aiming applications where getting shots on target quickly is a priority. 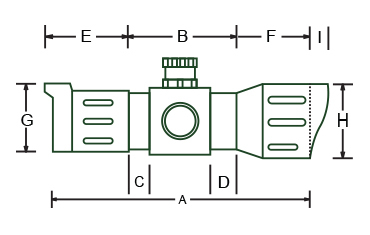 The reticle consists of a single floating dot in the center as the aiming point with three floating posts arranged at the dot’s 3,6, and 9 O’clock positions. It may be permanently etched on glass or formed by light reflection. The posts are very quickly picked up by the eye, framing your target, while the single dot provides precision aiming of the area of interest on the target.